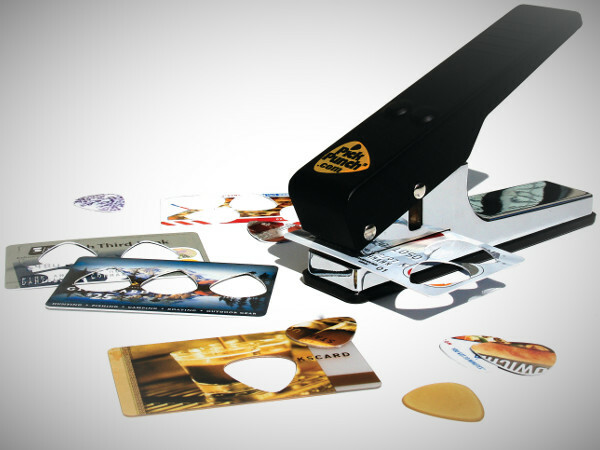 Pick Punch – Make Your Own Guitar Plectrums! Get yourself or your guitar playing friend and unlimited supply of guitar picks! You could get about 6 picks from one old credit card, or find the right bit of plastic and you’ve got an awesome custom plectrum!